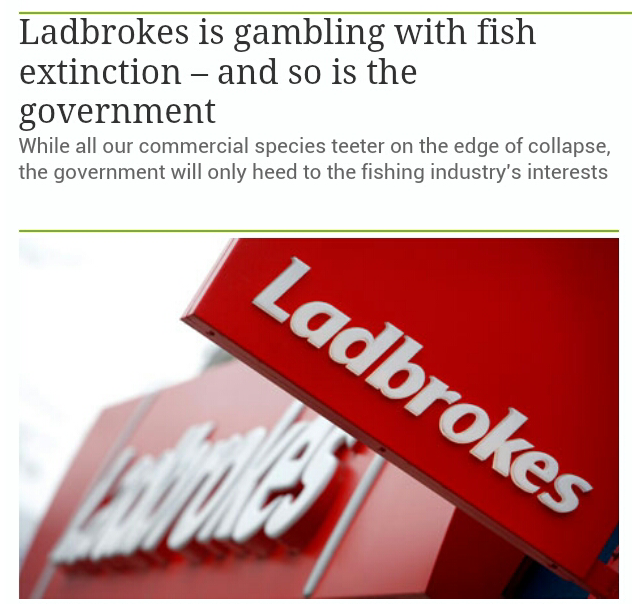 Ladbroke’s Gambling with Fish Extinction? This is the title and graphic from a recent blog article by George Monbiot in the Guardian, UK. 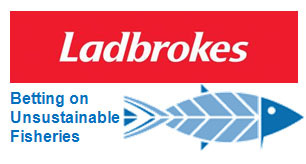 This article is mostly about mismanagement of UK fisheries by the Department for Environment, Farming and Rural Affairs, but it leads with a bit of a dig at Ladbrokes, the famous gaming establishment. The article is well worth reading for its criticism of UK fishery management. Monbiot’s article refers to a recently removed link on Ladbrokes’ webpage that was making book on the status of UK fisheries. The link is now removed, so neither Beel nor you can access it. However, one of the comments posted in response to the article stated that wagers were being taken not on whether fish became extinct, but on which fish would next be considered as overfished as is the mackerel. This comment seems, to Beel, likely to be accurate. Overfishing is unlikely to lead to extinction of any fish in British waters. However, it could result in stocks being so depressed that even a government that is reluctant to take on commerical fishers would have to do so. One could interpret the Ladbrokes wager as crass commercialism, or as a slap at government officials. Both interpretations are among those offered by the online commenters. Perhaps this will come as a surprise to no one, but Beel prefers the latter! Anyway, it is really too bad the link was removed. It would have drawn scrutiny to fishery management and could very well have resulted in major changes in fishery leadership and policy. So, why did Ladbrokes remove the link? Well, Beel has been around a casino or two. Gaming establishments are very sensitive to negative publicity. Again, Monbiot’s article is mostly about fishery mismanagement, but Ladbrokes is prominently mentioned. So, Beel got to looking at Google and Twitter, etc. 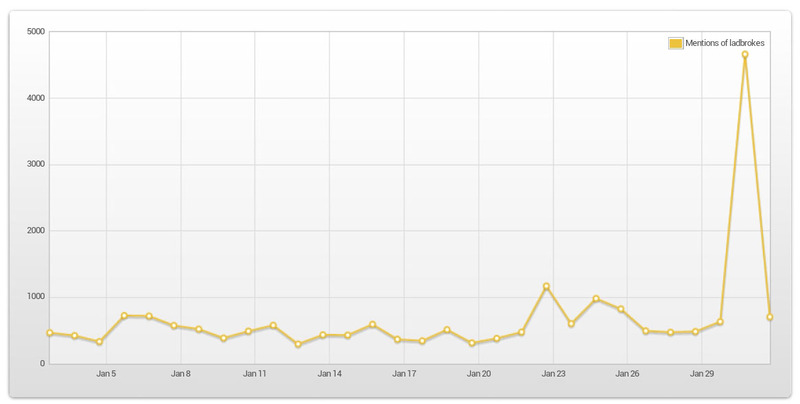 Please friends, allow Beel to present the results of a Topsy Analytics search of Tweets that reference Ladbrokes. Beel makes it a 1325:1 proposition that Ladbrokes will soon resume making book on fishery downgrades, at least not on any public platform. This entry was posted on February 2, 2013 by denstormer in Commentary.